Two months to go until the next Supreme Kids opens its gates – and the exhibition has been fully booked since April. The eighth edition of the leading German kids’ fashion trade show will feature the latest trends on July 15th through 17th at MTC World of Fashion, House 1 in Munich. By virtue of continuous evolution and improvement, Supreme Kids has secured its position as leading order trade show for Germany and its neighboring countries. Martina Westermeier, Supreme Kids Project Manager, says: “As organizers we want to give buyers a comprehensive overview of the kids’ fashion market. Among the first-timers at the last Supreme Kids edition in January this year were the labels George Gina & Lucy Girls, Cos:Bart, Bubbel Kid Berlin, Joosephs little Monsters, Lief, and others. 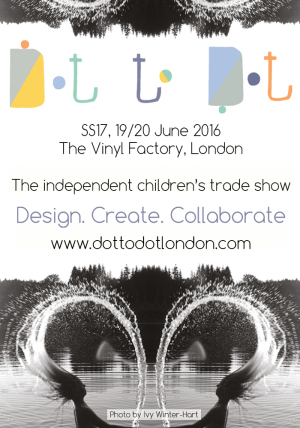 The July edition will feature the German trade show premiere of Danish brand Molo. 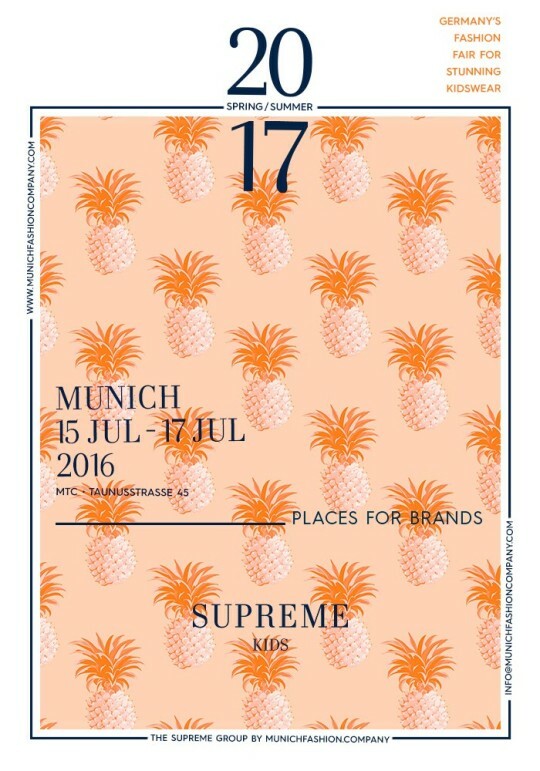 Other Supreme Kids debuts and returning acts will include: Beebielove, Little Miss Juliett, Pien et nau – Barcelona, Hyros, Redskins, Parajumpers, Lemmi, Losan, Derhy Kids, Noeser, and Scotch & Soda. 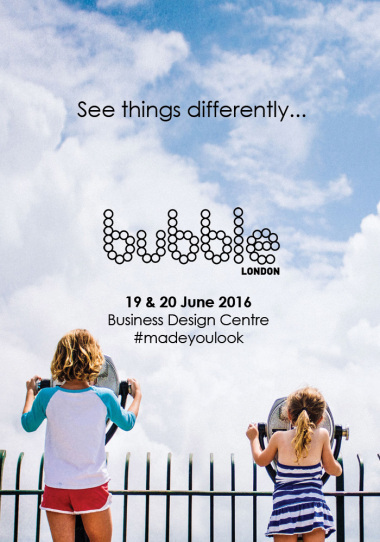 Furthermore, the organizer welcomes regular exhibitors like Absorba, American Outfitters, Allude, AI Raiders on the Storm, BMS, Blue Rebel, Babyface, Blue Effect, Bobóli, Bellybutton, Camp David, Colorado Denim, Chicco, Chipie, Celavie, Creamie, Digit Denim, Döll, Elli Wunderstücke, Eisend Girls, Farbgewitter, Frugi, Finkid, Guess, Geox Kids, Gymp, Hust & Claire, Indian Blue Jeans, IO Bio, Isartrachten, Joha, Jott, Jarrett, Kuxo, Le Temps des Cerises, Loud & Proud, Louis & Louisa, Lässig, Levis Kidswear, Love2Wait, Mini Cirkus, Miss Grant, Mayoral, Marc O ́Polo, Nanga, Nickel Sportswear, Ninni Vi, Nyani, Noel, Noppies Mum, Napapijri, Nono, Noa Noa, New Balance Kids, Oilily, Pepe Jeans, Petrol, Playshoes, Püttmann, Replay & Sons, Review, Regina, Reset, Retour Jeans, Robeez, Room Seven, Sanetta fityseven, Sanetta Catch a pant, Sarabanda, Sterntaler, Sunuva, T-Love, Twin Set Girl, Tumble ‘n Dry, Vingino, Wowzers, XS-Exes … and many more. Buyers can look forward to an exciting and diverse range of newborn, baby and teen fashion as well as denim and maternity collections as well as shoes and accessories!